Looking for the best home improvement idea? 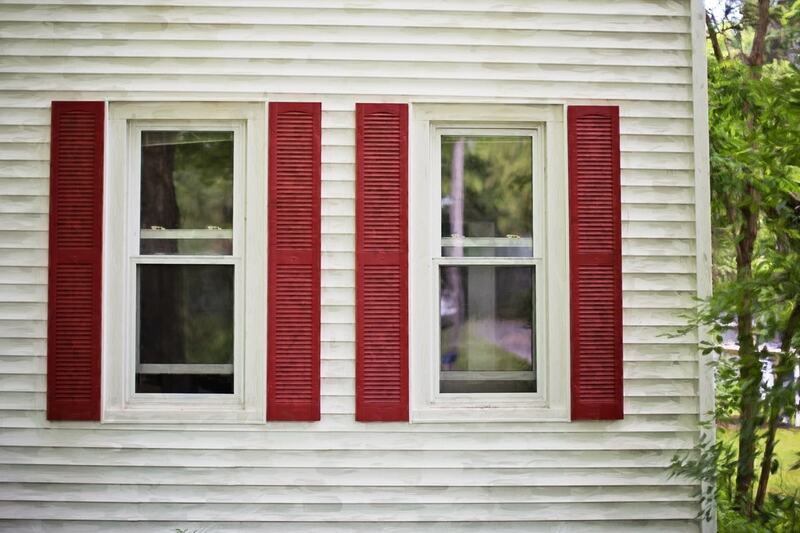 It is time to consider window shutters. Windows are a prominent part of your home’s interior and exterior decor. While most homeowners focus on other aspects of decor, a window treatment can redefine the aesthetics of your home. Shutters as a form of window treatment have been around since the early ages and they come in different designs and styles. Whatever the architectural outlook of your home, it is possible to find suitable house shutters on the market. The different shutter styles adopt different installation methods which means these fittings open differently. You can choose these shutters in different materials including wood, vinyl, faux wood, aluminum, MDF (medium density fiber) and synthetic foam. Each of these shutter materials has its pros and cons and you should evaluate these before picking any. Every homeowner likes to improve the aesthetic appeal of their property and it is not always easy to do so. Many of the decorative options available on the market are expensive but with exterior and indoor shutters, you can transform your home into a gem at a very low price. Shutters give your home a classic touch of style. These home fittings have been around since the earliest civilizations and they ooze timeless beauty and class. To give your home an elegant touch of style, you should consider adding shutters for an instantaneous impact on your home’s decor. Both exterior and interior shutters increase privacy in your home. In areas where a room faces a public space, shutters play an important role in keeping away prying eyes without blocking light. You can open window shutters at an angle to allow in light and maintain privacy in your living space. This makes shutters an amazing addition to your home. In summer, your living space requires the free flow of the breeze but if you open the windows wide, this will compromise your privacy. Shutters come in handy to solve this problem. You can open your house shutters at an angle to allow in cool air during hot days. In winter, closing shutters traps warm air inside and keeps away cold air. In essence, these fittings offer natural air conditioning and ventilation in your living space. In an era where everyone wants to live in a more eco-friendly space, homeowners now go for the latest technology and expensive solutions to ensure energy efficiency. However, you can cut on power consumption by simply fitting your windows with shutters. On hot days, you don’t have to power up your air conditioning because shutters allow in a cool breeze. On cold days, you can save on heating by closing the windows tightly using shutters to trap warm air inside. If you want to enjoy green living at home, exterior shutters will go a long way in helping you do this. Every home is unique and as such, you need to find home improvement ideas which you can easily customize to suit your home’s style. Exterior and interior shutters are versatile and easy to customize to suit any home decor. You can choose your shutters depending on size, material, color, and architectural style. Whatever the idea you have in mind when installing shutters, it is possible to find suitable shutter designs on the market. If you live in tropical areas where storms are common, you appreciate the risk that comes with wide open windows. During heavy storms, debris can come hurtling inside causing accidents. Worse still, you have to worry about window repairs every time there’s a storm. House shutters come in handy in this case by protecting your property against the elements. When there’s a storm warning, you will tightly shut the shutters to protect your family and the property. In addition to air control, interior and exterior shutters play an important role in light control. You can let in the amount of light you want any time of day. This saves a lot on lighting and creates the ambiance you want in any room. You can choose different shutter styles and colors for every room in your home depending on the mood you desire. For instance, a bedroom is a place where you retire to get peace and rest and by selecting soft colored shutters, you will create the ideal mood in the room. Likewise, you can choose playful shutter colors for your kids’ room and lively colors for the living room to welcome your guests. Whatever emotions you want to elicit with your decor, you can use interior shutters to get it done. Home buyers always look for additions and improvements when comparing properties. Adding window shutters thus adds to your home’s value and the project thus has a good ROI. There is a plethora of shutter materials, styles, and designs on the market to suit any decor idea you have in mind. You can also improve your home with any shutter style through customization. Indoor and exterior shutters play important roles in your home and this is the reason they rate highly among home improvement projects. You will not only improve your home’s curb appeal but also enhance privacy, protection against the elements and boost energy efficiency. Better still, you can add value to your property through these simple fittings which is something every homeowner wants.